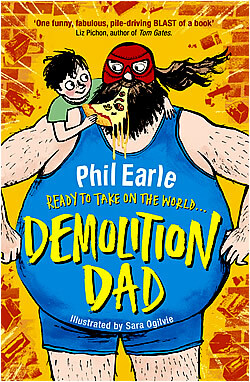 One lucky reader will win a school visit from Demolition Dad author, Phil 'The Pearl' Earle! Phil will tell you all about being a children’s writer, what inspired him to write children’s books, and how he comes up with his ideas. To be in with a chance to win, simply complete the form below to tell us what YOUR wrestling name would be! One lucky winner will be drawn from all entries.